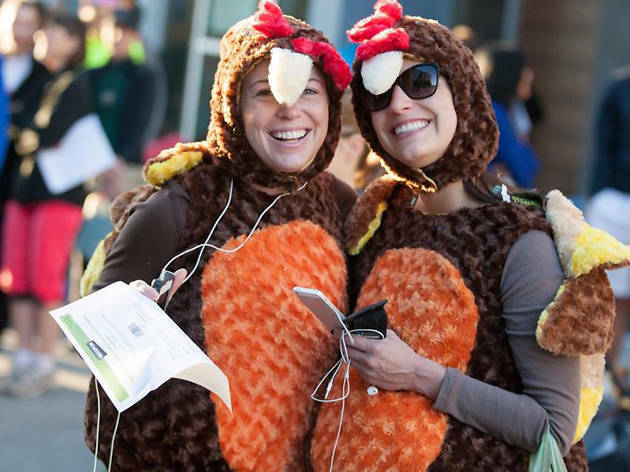 This Thanksgiving, get up early, put the turkey in the oven, put some sneakers on your feet and kick off the season of gluttony with a gentle 5k run, jog or walk. The Thanksgiving Day 5k begins behind AT&T Park and runs along the Embarcadero, which is blessedly serene this time of year as many urbanites venture out of town for the holiday. Your registration fee will help benefit the SF-Marin Food Bank, which provides 100,000 meals per day during the holiday season. Now, that’s a lot of turkey.